"School is in session for DC Super Hero Girls! This is where students master their super powers, brain power, and will power to become the Super Heroes of tomorrow. When Supergirl crash lands into the cafeteria, it's evident that though she has incredible power, she has a long way to go before she becomes a Super Hero. As Supergirl learn to harness her powers, the Junior Detective Club investigates a mysterious rash of security breaches. Could it all be because of reformed Super-Villain and Super Hero High Vice-Principal Gorilla Grodd - or something far worse? 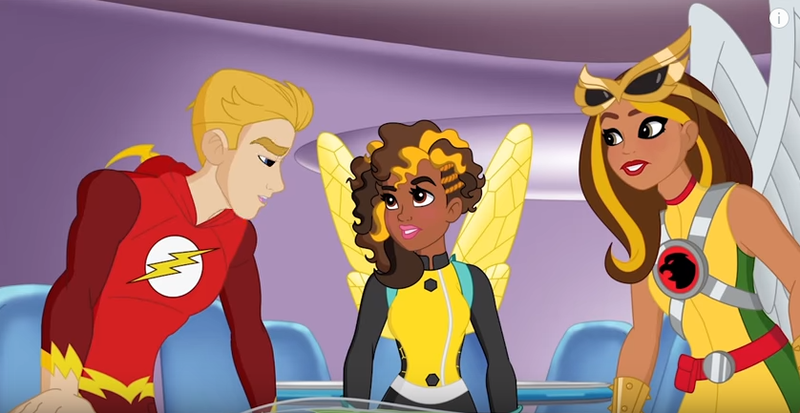 Super Hero High premieres Saturday March 19th on Boomerang.